I made this card using one of my favourite techniques - inlaid dies. I covered the back of the card with some Stick It adhesive - double sided, very thin and easy to die cut. I positioned the die and using my precision plate I ran it through my Big Shot several times to ensure that all the little pieces were cut through. I removed the snowflake and all the bits from the card panel. I then adhered a piece of bright magenta glitter paper to the inside of the card. Then I simple replace the snowflake die cut. I added a tiny seasonal greeting to the corner of the card. 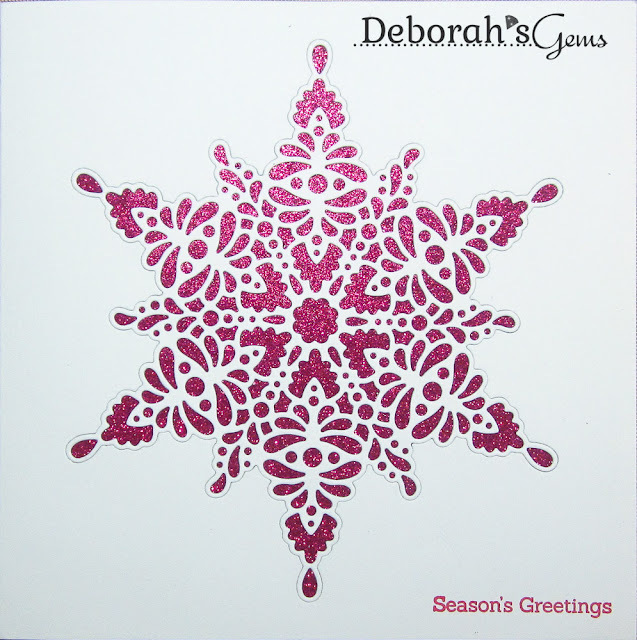 On the inside I cut a mat layer of dark pink card and on the white panel added a greeting and some smaller snowflakes. I'm submitting this card to a few challenges. 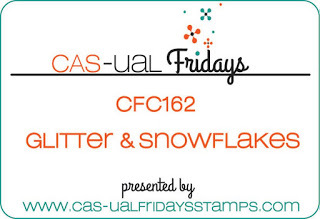 The first is CAS-ual Fridays Challenge - CFC#162 where the team would like to see snowflakes and glitter. The second is Simon Says Wednesday Challenge where the theme is ANYTHING GOES. Finally, I'm playing along with Love to Craft Challenge Blog - LTCCB#5 where they too have an ANYTHING GOES challenge. And also to TIME OUT Challenges - TOC#71 - where the theme is CHRISTMAS with optional sparkle! And this card brings my stash total to 104! I'm getting there. Such a stunning CAS card with this cool technique, very effective and fun! Thanks for taking TIME OUT and joining our challenge! Wow thats a stunning looking snowflake card.